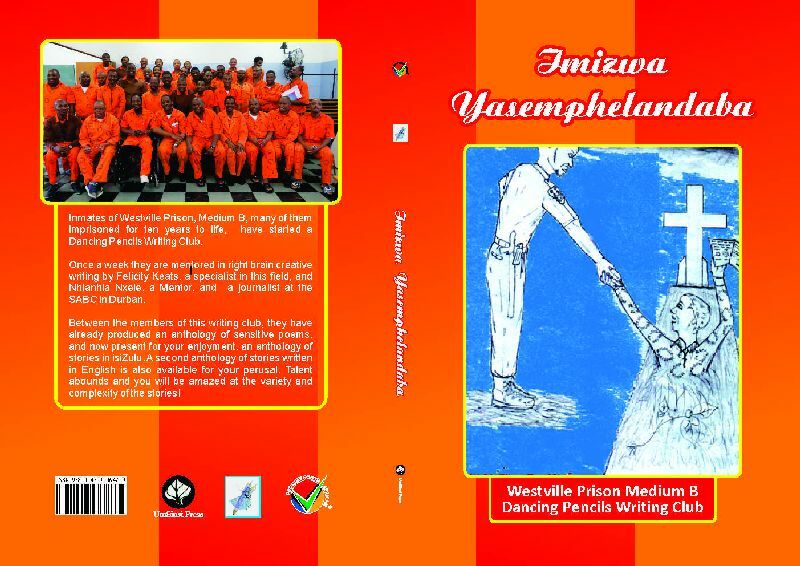 Three Books of short stories and poetry that were written by Westville Maximum Security Men’s B section prisoners were launched at Exclusive Books, Pavilion, Westville, on Wednesday 27th November. 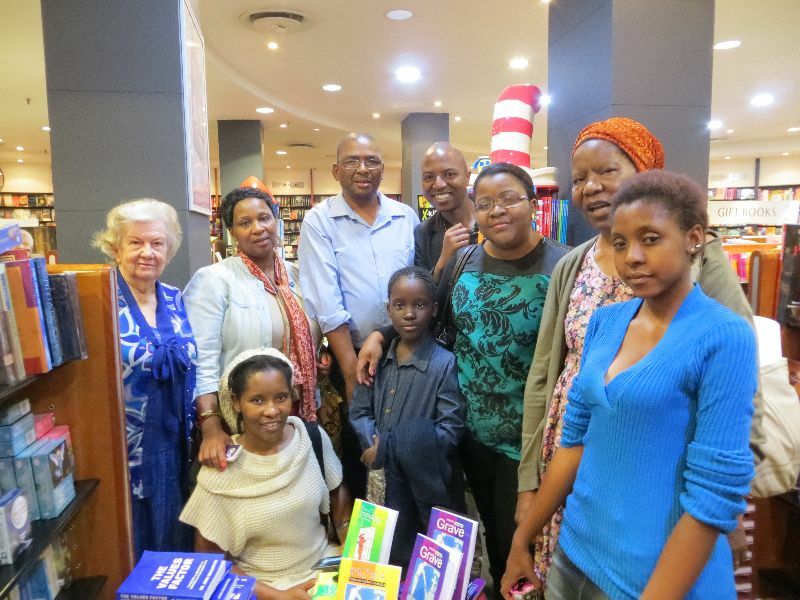 A group photograph shows members of the family of two of the inmates, as well as HOD of Maximum Security B Section, Mr Mbili, who was at the launch. Also in the group was Nokuthula Dlamini, HR Manager at the SABC in Durban and Nhlanhla Nxele, SABC radio journalist. 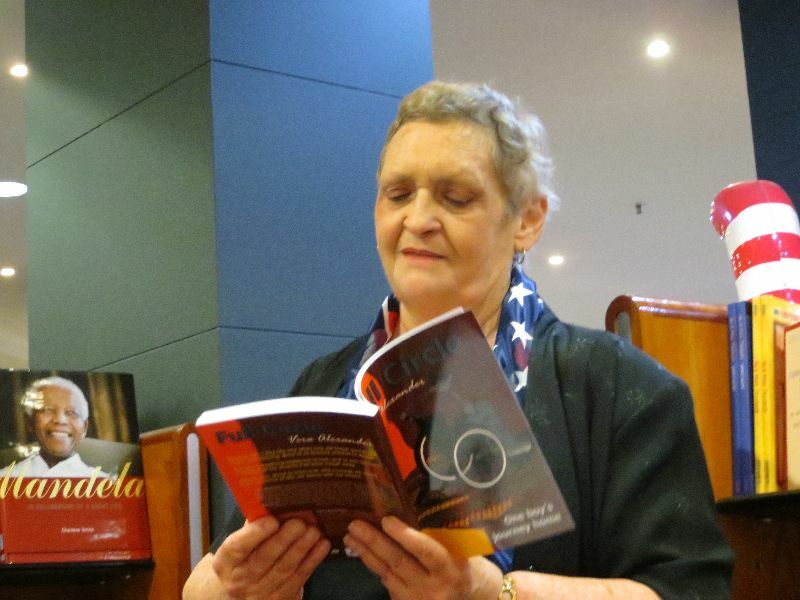 Vera Alexander reads from her novella, Full Circle, launched at Exclusive Books, Pavilion, Westville on Wednesday 27th of November. This story of a young boy’s upsets in life and ultimate success is heartwarming and sincere. Vera gets right into the heart and feelings of the character. Previously she has written for small children, now she moves on to an inclusive audience of teenagers and adults. Front covers of three new books launched at the ICC on 26 November at the Arts and Culture Conference. 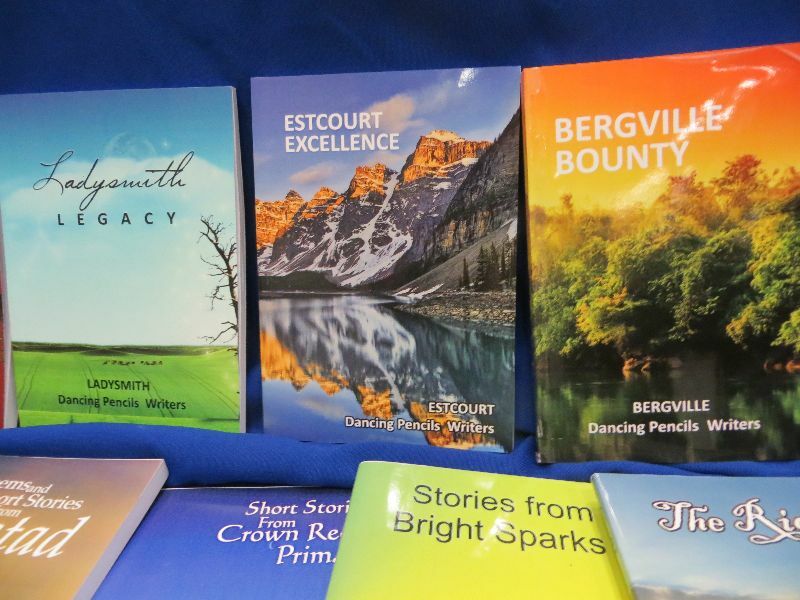 These books are the stories by children in Bergville, Ladysmith and Estcourt written 6 weeks ago in The stories are a great read for other children as we get into the minds of children and find what is important to them.